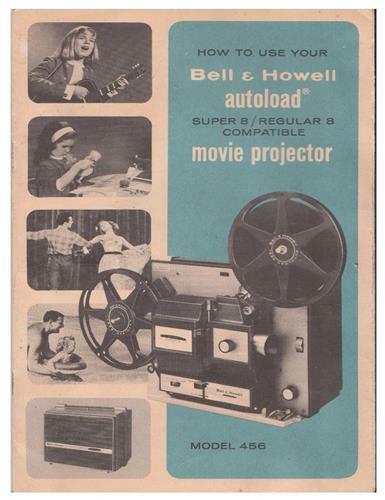 10 page E-Manual for Super 8mm Bell & Howell Film Projectors. Models 456, 456A, 456Z. Everything you'll need to know about how to set-up the projector, load the film, and how to properly run and maintain your projector. PDF manual link emailed to you upon payment within 24 hours.